Bret has been with Merges group since December of 2015. 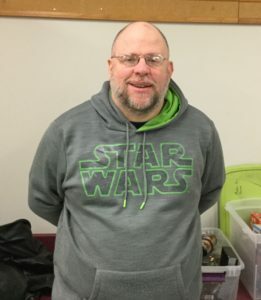 With several decades of gaming and role playing under his belt, he leads our Monday and Wednesday FunJoyment Groups and runs a Fantasy Role Play Group on Wednesday. He also assists in our Targeted Case Management.